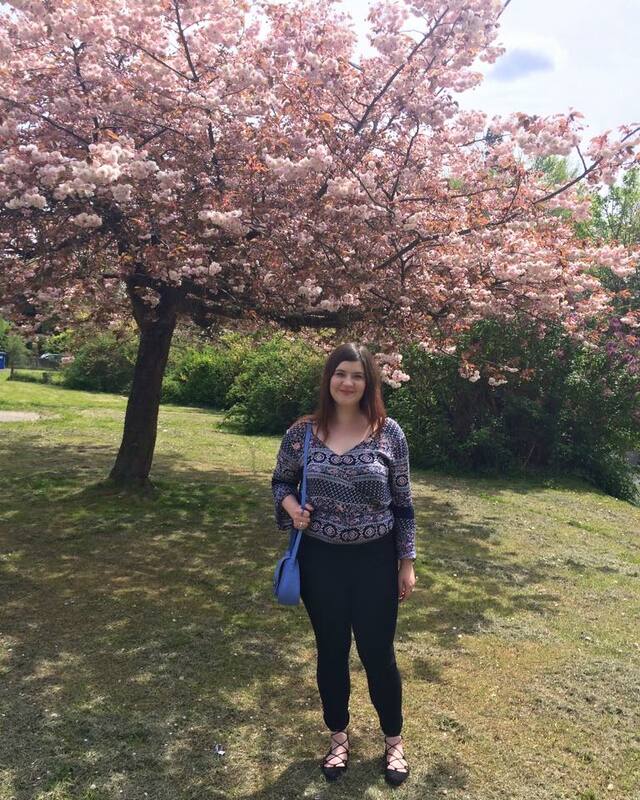 Hello lovely readers, I hope you all had an amazing weekend and have been enjoying the sunshine. 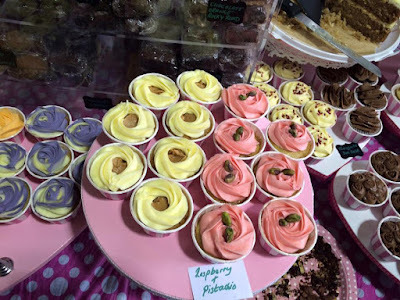 On Saturday I went to the Kent Vegan Festival in Canterbury with my two best friends so I thought I would let you guys know what I thought of it. I took an outfit of the day picture just before I left to head to the festival. Firstly I guess I should point out that I am not vegan or even vegetarian for that matter, I eat meat and dairy products. However, I am considering becoming a vegetarian once I am independent, have my own place and my meals are cooked by me. 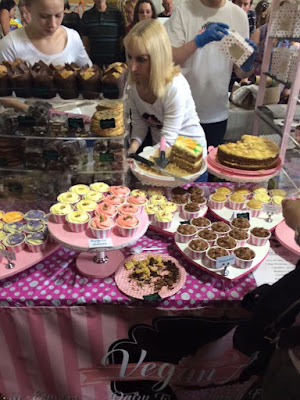 It was interesting looking around a vegan festival from the point of view from a meat eater, it showed that becoming vegan doesn't mean losing out and there are a lot of yummy (yes I said yummy) alternatives to food that has dairy products or meat in them. 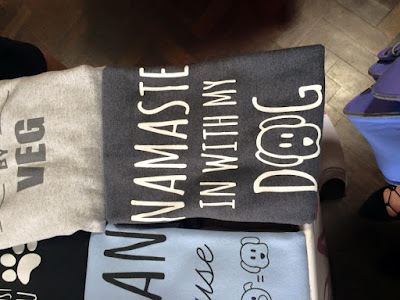 There were a few rather aggressive statements made on tshirts or posters that made me uncomfortable as a meat eater but maybe that was more my guilt than anything else. The festival lasted from 10 to 4 and there was a lot of things going on throughout the day, there were documentaries being played at the Curzon cinema which was next door to where the festival was being held. 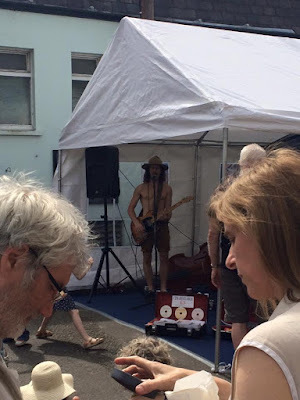 We didn't go to see these documentaries as I don't think I could have coped with some of the graphic scenes in some of the films and we arrived at the festival at 2 so we wanted to make as much as we could out of the live music and stalls. 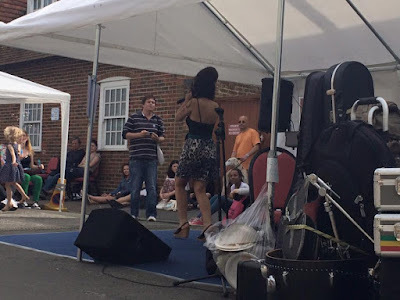 There was live music throughout the day, including a lot of folk music and an Amy Winehouse tribute act which was a lot of fun. The music really added to the lovely atmosphere (as did the sunshine). Inside the hall there were stalls selling all kinds of vegan food, tshirts and badges. It was amazing to see so much vegan food, I had a taster on a vegan brownie and it tasted great! 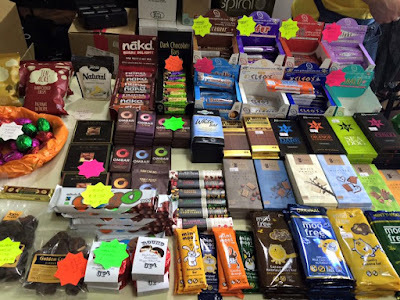 There were also information stalls and stalls selling vegan beauty products. There was so much to look at but it was hard to stop for long as there were so many people in the hall and it was so hot! 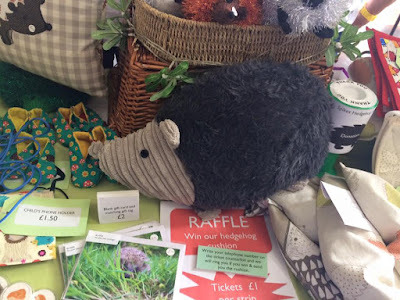 I have to say my favourite stall was the Spikes Hedgehog Sanctuary stall that was run by two lovely ladies. I love hedgehogs so I thought it was great that there was a stall there that promoted awareness about hedgehogs. 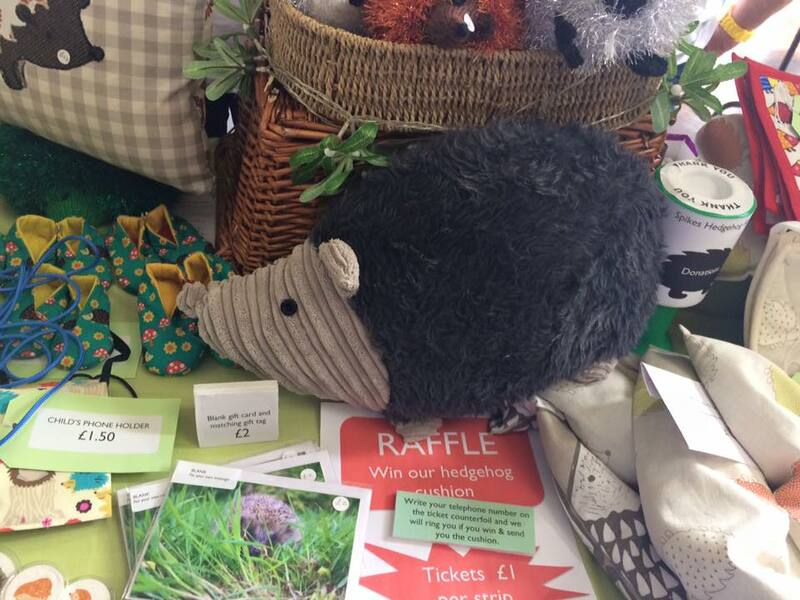 Plus one of my best friends won this hedgehog cushion in the raffle! I had a great time at the Kent Vegan Festival it was so much fun and really interesting too, it's definitely made me consider becoming a vegetarian even more. Have you ever been to a vegan festival? What did you get up to this weekend? It really was great and so interesting! Thanks for commenting! I'm interested in making the transition to veganism so this looks pretty cool. 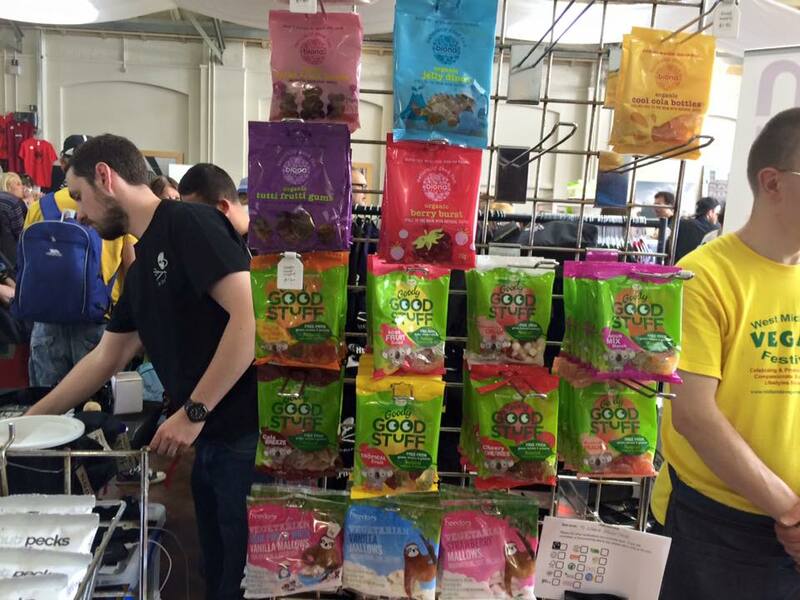 I'd heard of VegFest in LA but didn't realise similar things existed in the UK! 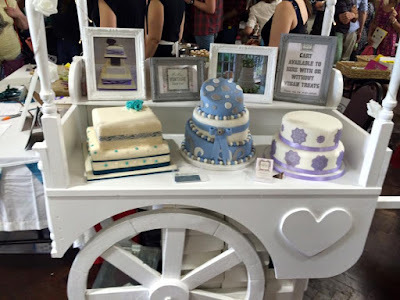 I know I'd never heard of a vegan festival in England before either! Good luck if you do decide to become a vegetarian! Thanks for stopping by! I helped organise it (although I only joined the team towards the end of the planning!) and had a stall there selling seed paper. It was a fantastic day and the second year of the event, in a bigger venue. 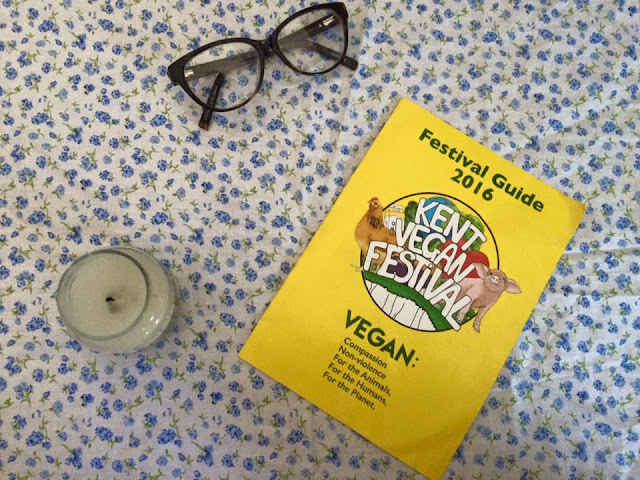 I have posted a link to your blog on the Kent Vegan Festival community Facebook page so you may get some more comments and views! Going vegan or vegetarian can be daunting and some people do struggle, particularly with cheese (! ), but there is so much help and guidance on the internet and places to get advice that it should be a less daunting prospect. I have been vegan for over 30 years and motivation is key and every time you are feeling it a struggle, just think of the lives you will be saving at the end of your journey to veganism! For those of you who fancy a vegan festival, there is one in Maidstone on 23 July and a London one in October. I remember your stall I bought some wild flower seeds from you! 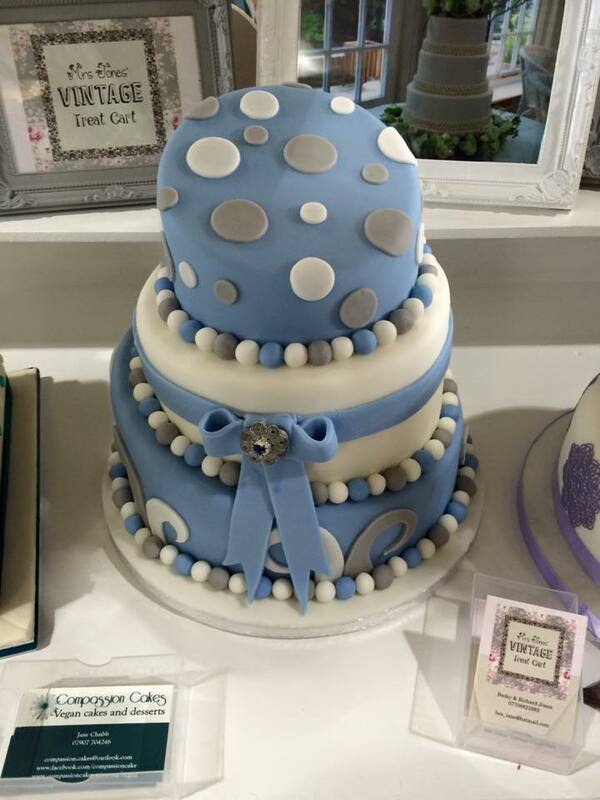 Thank you so much for posting my post to the Facebook page I really appreciate it! I definitely am considering going vegetarian and then vegan. It's so great that there is so much support for those who want to make the change. It really was interesting and so much fun! Yeah I think what I want to do is cut down on how much meat I eat then see where that goes! Thanks you my beautiful friend I'm glad you enjoyed it! I hope you are having an awesome week so far! It really was so interesting. Thanks for dropping in!